Social media has fundamentally changed the retail and apparel industry. Consumers today are digital, social and mobile. As a result, social media platforms such as Instagram, Pinterest, YouTube and Twitter now collectively garner over 2 billion users as the channels of connection between individuals and companies undergoes the largest change since the invention of the TV. For apparel companies, this change represents an unprecedented opportunity, giving them access to more data and more channels to understand their customers better. As companies gain new insight into their customers, they need to be ready with an agile supply chain that can rapidly react to the new opportunities that these channels offer. If there’s one thing that can be said about how social media users treat fashion, it’s that nothing, absolutely nothing gets by them. Online consumers are finely attuned to the details they witness and are eager to share their views. Whether it’s an athlete debuting a new outfit as he walks out on to the field to actors arriving at award shows donning a particularly off-beat piece of couture – social media is quick to take note and opine. In the era before social media, the influence of social networks in determining the fate of a brand was just as prevalent, however hidden. Traditional word-of-mouth and interpersonal network sharing would occasionally lead to massive trends, but it was always slow and unpredictable in its growth. In today’s digital environment, however, social media presents an unprecedented opportunity for companies to track every interaction and make decisions in real-time that can save and/or blossom their businesses. And for consumers, this openness presents more of a service than a challenge. As more and more consumers take to the “See Now, Buy Now” trend, their demand for any product that makes a social impression can instantly spike market demand. Do you remember “Damn, Daniel!”, when a simple amateur home video went viral on Twitter and spiked a 20% increase in direct-to-consumer sales and a 30% increase in online sales for VF Corp.’s Vans brand of shoes that were featured in the video. Vans was quick to jump at the organic trend and steer the phenomenon, pushing its sales and branding with clever social engagements. 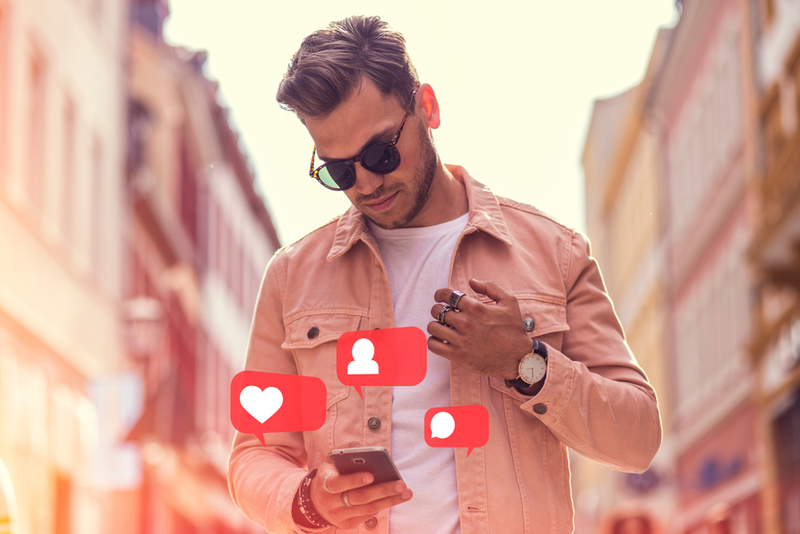 This might seem like an isolated incident but according to the “2018 Global Consumer Insights Survey,” by PricewaterhouseCoopers, about 39% of consumers said that social media is one of the primary influencers while buying clothes. Consumers can begin shopping for clothes minutes after their high-profile appearances on television and other media. In effect, social media has accelerated the purchase cycle, with users relying on instant online access to purchase any style or look that catches their eye. And businesses need to be aligned with these dynamic shifts if they wish to take advantage of these opportunities and delight their customers. By including social media in the supply chain, a lot of critical market data can be obtained from a vibrant pool that is constantly evolving and growing, helping businesses gain that critical advantage. This knowledge can then be used to ascertain emerging trends, or for even developing fads using integrated advertising or growth marketing campaigns. Within an organization, social media platforms can be used to improve communications across the supply chain and generate data for greater transparency. This can help businesses not only increase process control, but also reduce their labor and operational costs. Data from social media networks can also help supply chain management systems gain advanced warnings on disruptive events such as bad weather or natural disasters, thereby helping managers adjust their logistics chains to align with the changing reality. And, when it comes to the industry at large, social media platforms can be designed by companies to help research new vendors and partners by analyzing historical data from their social media footprint. By tapping into these deep pools of updated data from social media, businesses can leverage numerous data driven strategies to improve their overall operations and sales in one fell swoop. While ultimately promising in the long term, a social media driven spike in product demand can cause massive business disruptions for manufacturers that affect the entirety of the supply chain. These sudden changes can force companies to stray away from their precisely planned processes and instead focus their energies on reacting as quickly as possible to these trends in order to remain relevant. The result – rushed products that may not succeed at the cost of business stability. While most businesses rely on some degree of trends forecasting to plan, it becomes increasingly difficult to do so in the face of social trends. Ensuring that disparate departments, such as design, manufacturing, branding and distribution, are quickly aligned toward a suddenly surging demand can prove difficult when attempting to react to social trends. Owing to the hastening of the purchase cycle, organizations require the right manufacturing and distribution infrastructure to be in place if they aspire to fulfill product demand rapidly. Such a system demands that inventory evaluation be primed on a real-time basis, while also connecting data from shop floor to sales channel more transparently. To accomplish this, a supply chain management solution needs to have the capability to quickly process work-in-process (WIP) inventory toward production and distribution through a seamless solution. It is under these circumstances that an agile and fully integrated supply chain becomes critical for an enterprise. A fully integrated supply chain capable of shop floor digitalization can play a crucial role in helping companies manage production shortages, enact capacity planning and minimize bottlenecks on the factory floor. This empowers operators and supervisors to evaluate inventory and plan resources very quickly, resulting in companies maintaining high-quality production in a faster, more-efficient manner leading to increased productivity and profits. In the same scenario, a product lifecycle management (PLM) solution integrated to an enterprise resource planning (ERP) system speeds up the concept-to-consumer lifecycle that is demanded by social media. The synergy between PLM and ERP allows data collected across the supply chain to be accessed and shared in real-time to help increase collaboration, planning and operational efficiency. In an integrated digital supply chain, data and insights can be procured from various technology sources, such as PLM, ERP, eCommerce platforms, social media, shop floor control and point-of-sale (POS). With more up-to-date data across all channels, companies cannot only forecast better, but also mitigate business risk while capitalizing on growth opportunities. Backed by more than 30 years of industry expertise, CGS’s BlueCherry® Enterprise Suite incorporates several tools that empower fashion companies to effectively manage their business transactions, accelerate concept-to-consumer capabilities, and fully integrate the supply chain across all departments. So as social media continues to create sudden and unpredictable opportunities for the fashion industry, businesses can rest easy knowing that the tools and technology necessary to adapt can easily and seamlessly be implemented in their current set-ups.